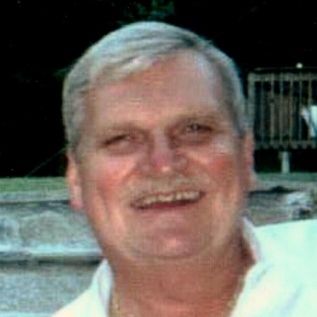 Robert J. Tenerowicz, 81, of Bristol, died on Monday (January 21, 2019) at Bristol Hospital. Robert was born in Meriden on November 23, 1937 and was a son of the late John and Nora (Majewski) Tenerowicz. He attended St. Stanislaus Parochial School in Meriden and graduated Meriden High School in the class of 1955. Robert spent two years active duty in the U.S. Navy and four years in the Navy Reserves before working for New Departure in both Meriden and Bristol. He retired in 1991 after 28 years of service. He was active with the United Auto Workers Union and was a past-president. A longtime Bristol resident, he was a very active volunteer in Democratic politics in town. His civic involvement includes the Red Cross, the Bristol Fire Commission, and the United Way. Robert is survived by a brother: John Tenerow of Naples, FL, and several nieces and nephews. He was predeceased by four brothers: Peter, Ted, Edward Tenerowicz, and Ray Tenerow; and three sisters: Jeanette St. Onge, Helen Stelmach, and Joan Tenerowicz. A Mass of Christian Burial will be celebrated on Saturday (February 2, 2019) at 10 AM at St. Stanislaus Church, 510 West Street, Bristol. Burial, with military honors, will follow in St. Stanislaus Cemetery, Meriden. Relatives and friends may call on Saturday (Feb 2, 2019) at 9 AM at Funk Funeral Home, 35 Bellevue Ave., Bristol. In lieu of flowers, memorial donations may be made to the St. Stanislaus Church, 510 West Street, Bristol. Please visit Robert’s memorial web-site at www.FunkFuneralHome.com.